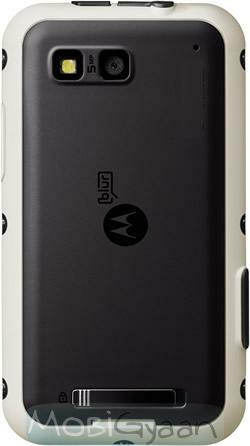 Motorola announced its ruggedized phone, DEFY in India. This Android based phone is dust proof and water resistant. It also features a resilient display that has protection against scratch damage. It measures 59 x 107 x 13.4mm and comes equipped with 9.3 cm (3.7 inch) display and 5 MP Camera with LED Flash. It comes with CrystalTalk PLUS which vanquishes noisy environments with two microphones which intelligently filter out background noise and amplify your voice so you don’t have to shout. It is Digital Living Network Alliance (DLNA)-enabled to stream, store and share content with compatible devices around the home like HDTVs, game consoles and PCs. 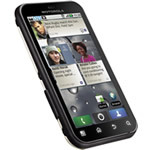 MRP of Motorola DEFY is Rs. 21,990 but you can easily get it in the market in less than 19,000 bucks. This device is a blessing for the guys who are too careless with their device. So if you are one of those who drops phone often, then DEFY is made for you. 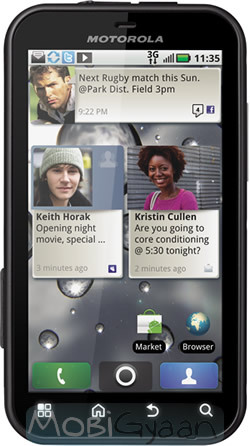 Let us know your views on Motorola DEFY.